Here are some useful tools that will make installing stair parts easier. We have some Richard Burbidge branded tools that are designed specifically for stair installation. 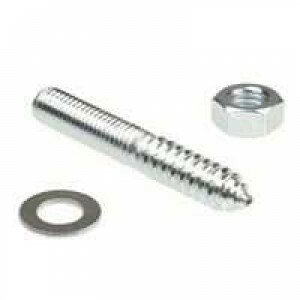 Handrail Bolts make fixing handrails to newel posts relatively simple and they will hold the parts together securely. The 50mm hole saw will help with installing newel posts. It includes instructions and a template. This hole saw drill bit will drill a hole to the required size to take the newel peg. We sell stair parts in various timbers as well as other materials such as metal and glass. Our stair part accessories include all the parts you need to install stair components together. All our products are sold online and can be delivered across the UK.